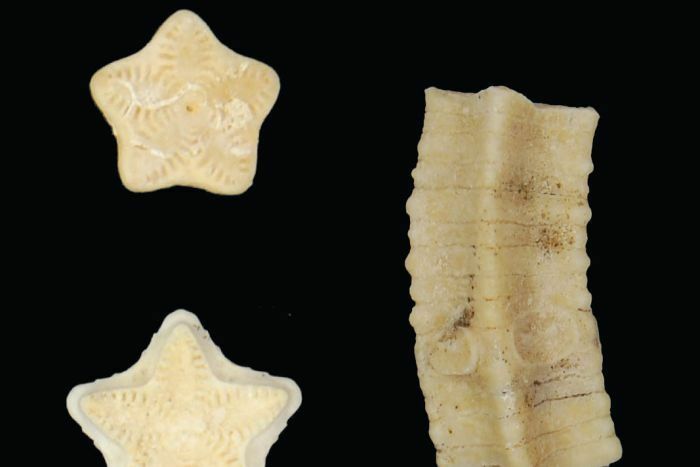 The discovery of hundreds of sea lily fossils in a dusty riverbed near Exmouth in north-west Western Australia has rewritten the species’ history book by millions of years. Sea lilies, or crinoids, are the lesser known cousins of sea stars and sea urchins. Members for the echinoderm family, sea lilies anchor themselves to the ocean floor by their stalk and have frond-like tentacles. “For more of the Earth’s history — we’re talking well over 500 million years — they were one of the most dominant and common things in the sea,” University of WA (UWA) research fellow Aaron Hunter said. Sea lilies were previously thought to have become extinct from the shallow seas that covered the southern hemisphere about 66 million years ago. However, the ancient marine fossil record — preserved in rock inland from Exmouth — suggests sea lilies survived in shallow waters until 33 million years ago. This challenges palaeontologists’ current theory of marine life evolution in the southern hemisphere.